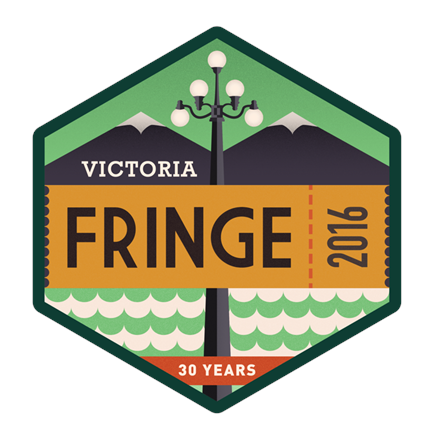 Join Team Modo and celebrate 30 years of the Victoria Fringe Festival on August 23! Celebrate 30 years of the Fringe in Victoria! Team Modo is joining the Fringe opening ceremonies at Centennial Square on August 24 at 5:30pm to celebrate 30 years of the Fringe. Modo board members, staff and volunteers will be there to take part in a large outdoor performance piece and prove that anyone can create theatre for the Fringe! 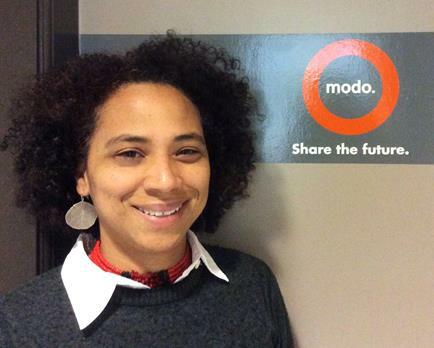 Modo's participants will meet for a rehearsal run at Centennial Square on August 23 at 5:30–6pm. The artists' of the piece are looking for more participants and registration closes on August 15. Pictured: Sean Guist of Intrepid Theatre, with a Modo at an OUTstages event. NEW LOCATION at Speedy Auto: You can find a 2016 white Chevrolet Colorado (#805) — Victoria's second truck — in front of Speedy Auto Service, 2992 Douglas Street, between Spruce and Larch. Just one Move for Greater Victoria this month, but if you have potential leads on available parking, please let us know! We're particularly interested in visible, accessible surface in Jubilee, Vic West, and Downtown, where we could put a Modo sign and reserve a permanent stall. NEW LOCATION at Aviara: Two cars — a 2016 grey Kia Sedona (#824) and a 2017 white Toyota Prius V (#823) — now live on the east side of the Aviara townhouses, two blocks uphill from Gilmore SkyTrain near Halifax & Gilmore. NEW LOCATION at Tenth St & Oxford: You can find a 2013 brown Nissan Cube (#437) in a designated stall on the west side of Tenth Street, between Oxford Street and Third Avenue (300 block). NEW LOCATION at Elliot & Dickenson: We've added a 2012 red Fiat 500 (#312) in a designated stall on the east side of Elliot Street, just south of Dickenson Street. NEW LOCATION at King George SkyTrain: A 2016 grey Toyota RAV4 Hybrid (#815) now lives just east of King George Station, in the parking lot beside the end of the SkyTrain line. Our stall is in the angle parking right next to the track. NEW LOCATION at SFU Surrey: You can find a 2016 white Toyota Prius V (#813) on the southwest corner of 102A Avenue & University Drive, just west of the SFU Surrey / Central City tower. TEMPORARY CARGO VAN at Main Street SkyTrain: Our permanent floating cargo van (#800) is currently located at Main Street SkyTrain. CAR CHANGE at Franklin: There's now a blue 2016 Toyota Corolla (#825) instead of a white one. NEW LOCATION at Mount Saint Joseph Hospital: A 2016 blue Honda Fit (#811) now lives in stall #72 at Mount Saint Joseph Hospital, facing Kingsway across from Open Road Toyota. FIFTH CAR at Kingsgate Mall: A 2016 silver Toyota Prius (#810) has joined the Mazda B2300, Kia Sedona, Nissan Versa Hatch, and Dodge Avenger. UPGRADE at Highbury: A 2016 white Nissan Frontier pickup truck (#808) has replaced the 2010 Mazda B2300. Our stow-n-go vans are great for camping trips, picking up family at the airport or even moving house! This month, Krusheska has some quick tips when booking one of these vans. 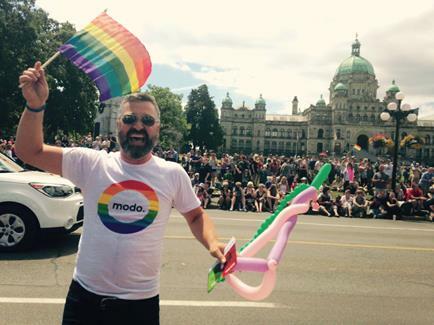 Modo's a proud sponsor of the Victoria Pride Society and our members had a blast celebrating together at the parade and festival. A huge thank you to our volunteers Maeva, Tommy and Steeve, and of course to our Victoria staff, Heather, who helped get our Kia Soul dressed up for the event. More pictures on our blog! There are perks to being a Modo member! Take our August Quick Poll to find out more! 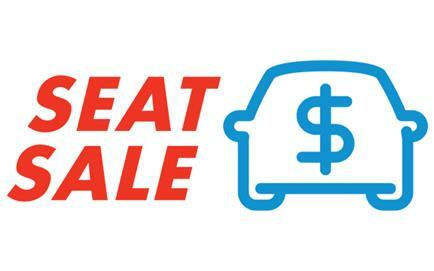 Starting August 5 ending August 25, bookings in these cars are 10% off! >> GET MOVING Jen Walker of Movement108 uses Modo to get her hiking crew to the mountains, less cars and more outdoor fun for everyone. Win, win! >> BABY BUMP BRUNCH Ambassador Megan took her friend Caroline out for brunch on Main Street and shares her new favourite part of being a member. >> LET'S ROCK Climbing blogger and Modo member Kristi took her favourite "Picasso" Modo to Squamish! >> BARNSTON ISLAND Lisa Corriveau went on a Modo and bike adventure during her Instagram Takeover. A perfect destination for cycling with the little ones! 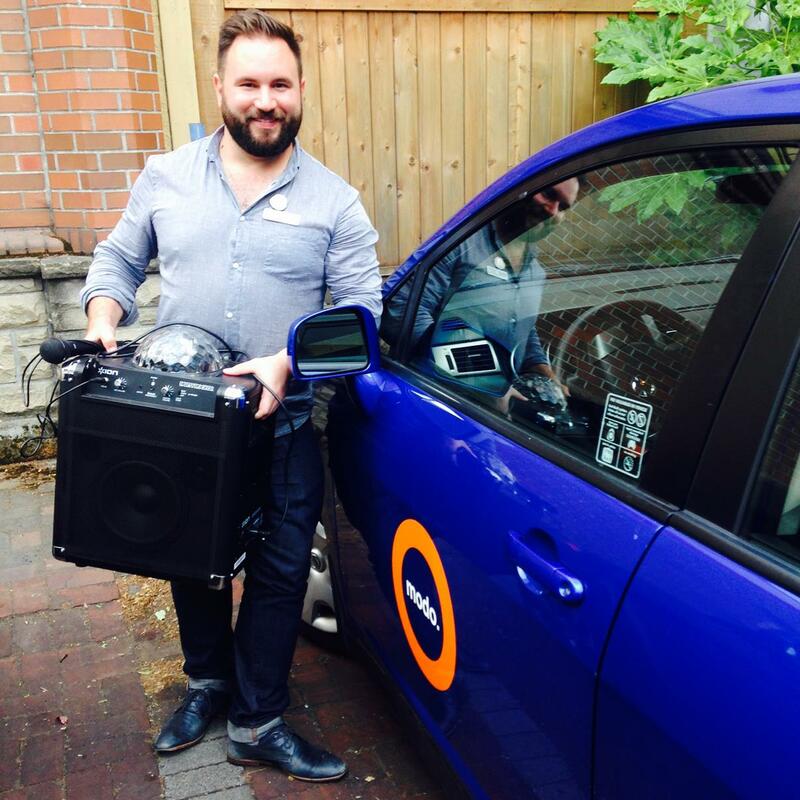 >> SQUEEZE BACK Aaron of Vancity went car-free for a month. We check in and see if he's greened his commute for good. >> FRUIT PICK TRIP Modo member Heidi took a Modo to the Okanagan and met a fellow Modo member at Dominion Cider Co.! >> RUN WITH MODO Don't forget, members get 10% off the race entry for the Eastside 10k using the code MODOMEMBER. Join Team Modo at the Fringe opening ceremonies on August 24th for a fun community performance at Centennial Square celebrating the 30th anniversary of the event. Don't miss this year's Rifflandia festival and stay tuned for a ticket giveaway coming up!